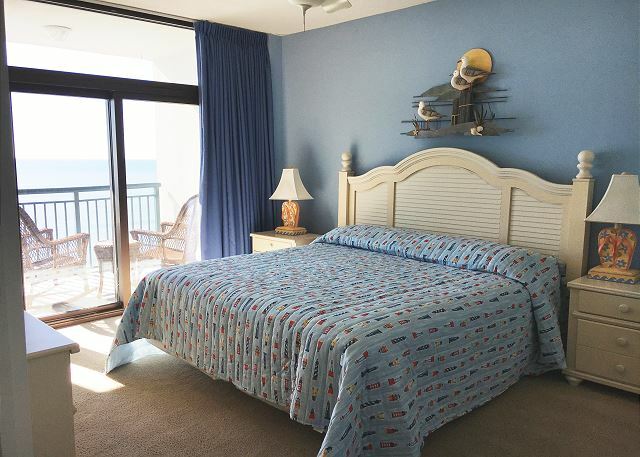 King Size bed in Master bedroom with Ocean Views Beachwalk Villas Complex Private balcony view from the penthouse! 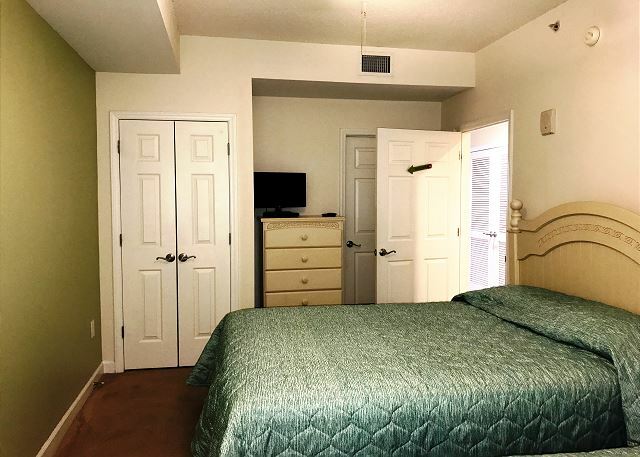 Master Bedroom with balcony access, flat screen TV, large closet Living Room Open concept living area Full size kitchen with granite counter tops. Full size Sleeper sofa Dining Area This bedroom offers a Queen Bed and a private restroom. 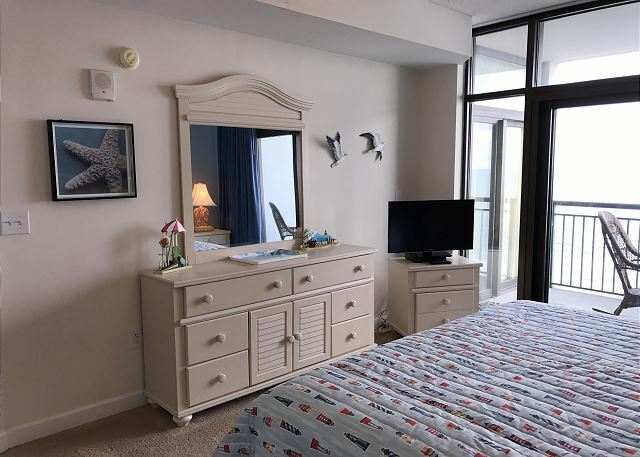 Secondary Master bedroom offers a flat screen TV for late night 2nd master bathroom Relax and take in the ocean views from your private balcony. . Two Queen size beds in the guestroom 3rd full restroom, access from hallway and guestroom. 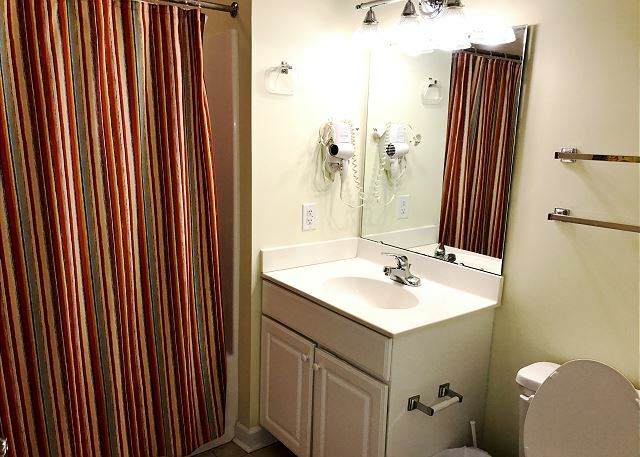 Guest room features a flat screen TV and direct access to the hallway restroom. 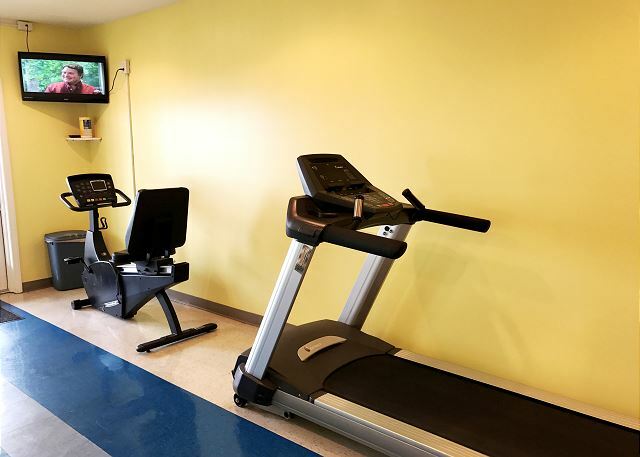 Oceanfront Amenity Center located directly across the street! 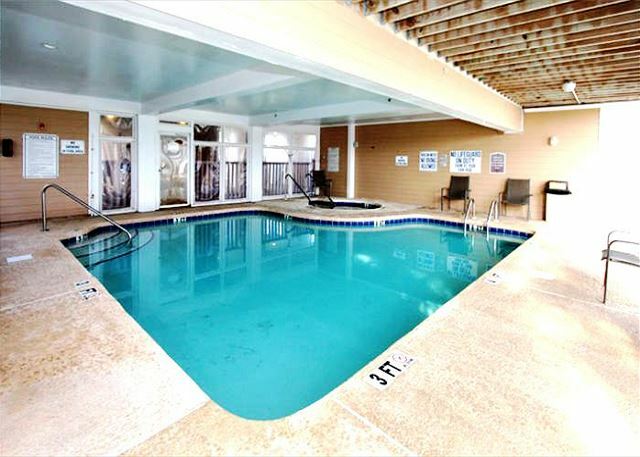 Sooth your soul in the hot tub, or take a dip in the covered pool There is an oceanfront pool at the amenity center across the street Take a break from the sun and enjoy this game room at the oceanfront amenity center. 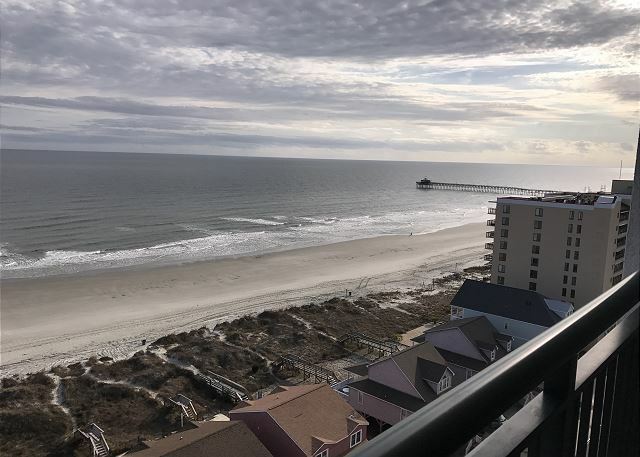 Fitness Center Beachwalk Villas 904 balcony view Balcony view of the Cherry Grove Pier! The salt marsh is directly behind this complex. 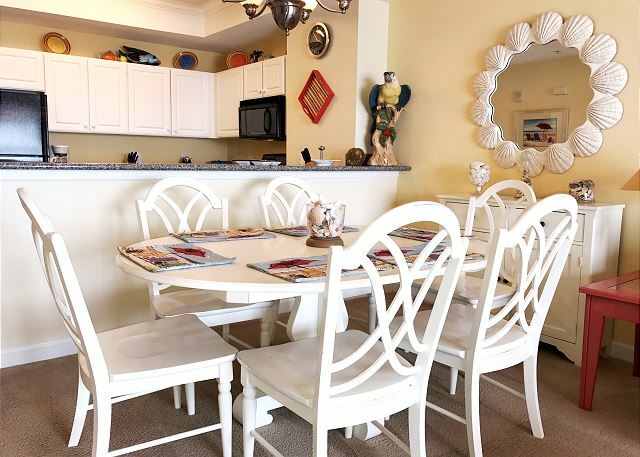 Beachwalk Villas 904 is cheerfully decorated with a Nantucket nautical flair. 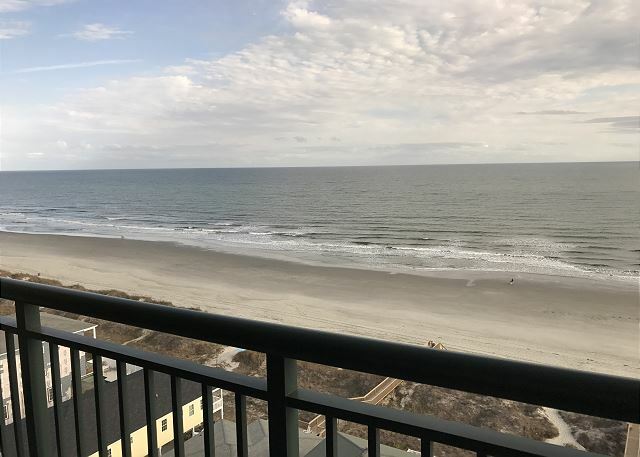 This North Myrtle Beach Penthouse boasts three full bedroom and three full bathrooms and accommodates up to 10 people. 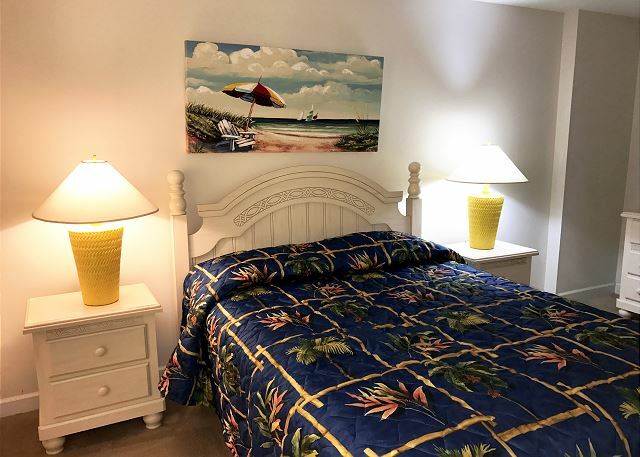 The Master Bedrooms features an ocean view balcony, King Size bed, private restroom with large garden tub, and flat screen TV for late night viewing. The second master suite offers a Queen Size bed, a private restroom, and a flat screen TV. The third bedroom also has a flat screen TV, 2 Queen Size beds and access to a shared bathroom. 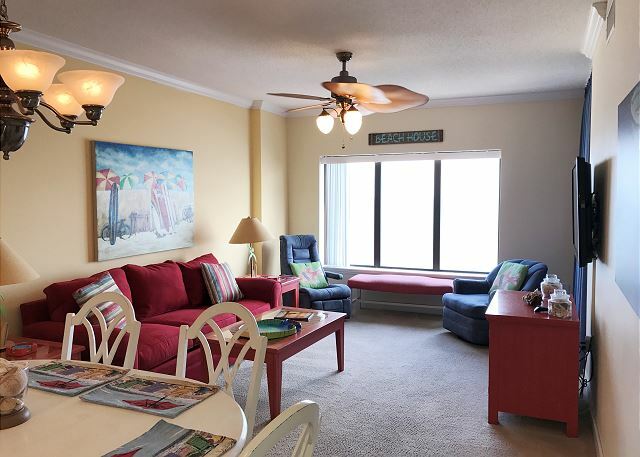 The spacious living area is bright, tastefully decorated, offers a large window with views of the Atlantic Ocean. 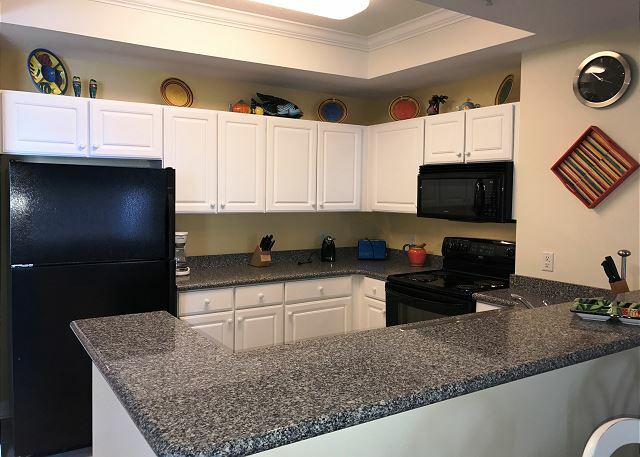 Prepare breakfast, beach snacks, or gourmet meals in the fully appointed kitchen with granite counter tops. 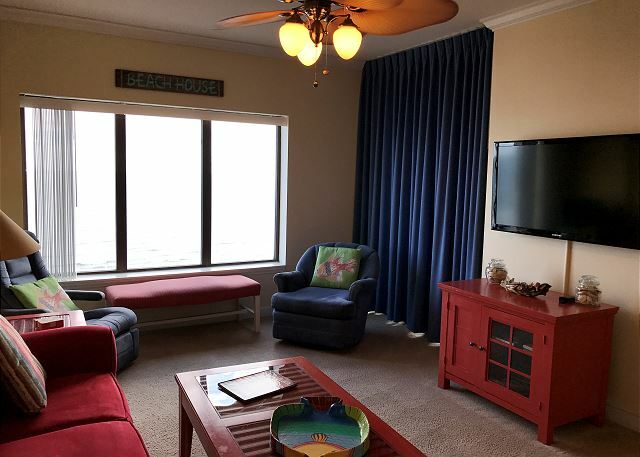 The living room features comfortable seating, Large flat screen TV, WIFI, and balcony access. For your convenience, this penthouse also offers a stack-able washer/ dryer. 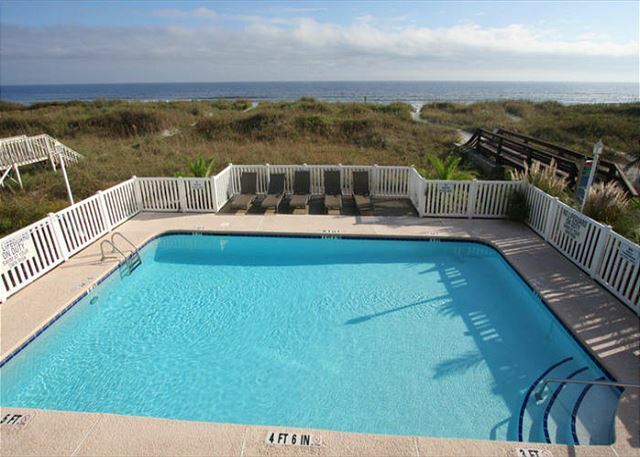 Beachwalk Villas is located in the perfect location. Have some fun in the surf and the sand, directly across the street. 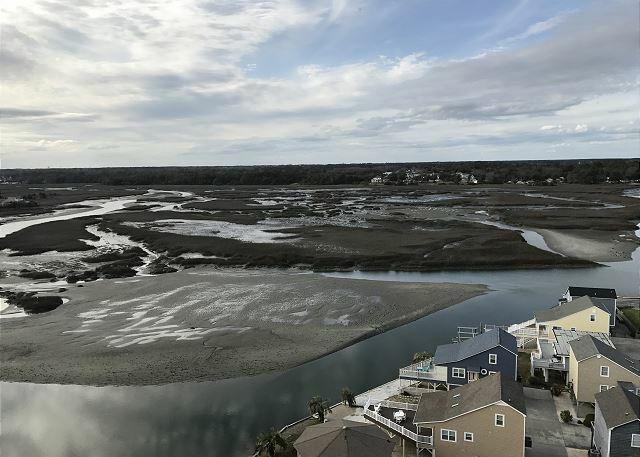 Relax at the oceanside pool, or enjoy bird watching at the Cherry Grove salt marsh directly behind the resort. Bring the family, we are glad to have you! 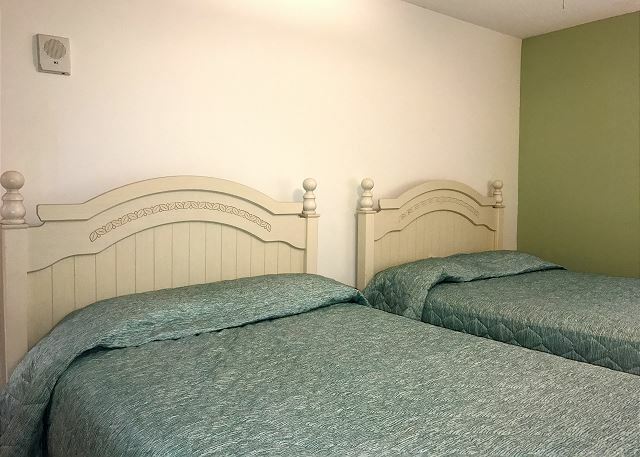 All linens and bath towels are included, except for linens for the sleeper sofa (Queen Size) For your convenience, this home includes WiFi, a washer and dryer, and plenty of parking. Motorcycles and trailers are not allowed. Guest receive 2 parking permits. We had a very good experience staying at the Beachwalk villa. I felt very much at home by weeks end. The breathtaking views of the sunrises always started my day off great. Loved walking on the beach which was easy to get to. Having friends and family come to visit was a great plus. The place was nice and very clean. However, there was a bad leak in the refrigerator. I called about it. Someone called me back, said because it was Sunday nobody could fix it. Monday while I was on the beach, I got a voicemail regarding the leak. I called back and left a message. Nobody ever called me back while I was there and the leak remained. About a week after I got home, someone called me back. When I said I was no longer there they just said oh sorry and hung up. Not sure if the leak was ever fixed. Customer service for repairs is seriously lacking. 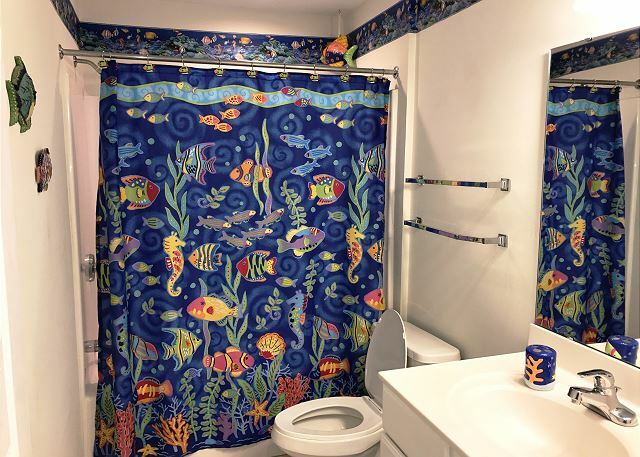 We enjoyed our stay and would consider this rental in the future. 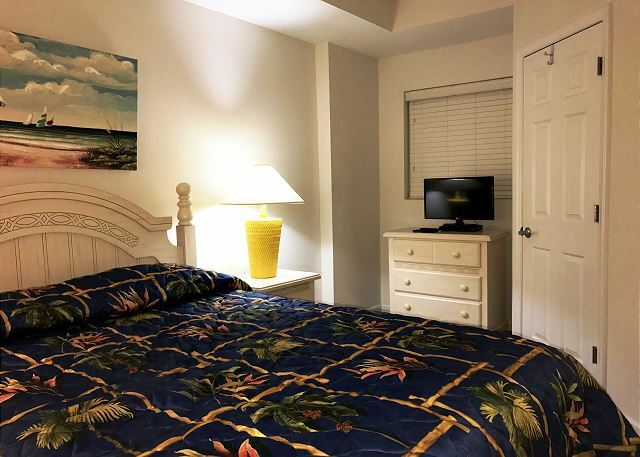 Close to the beach, close to the pier if you want to fish and close to banana boat rides and parasailing. Rooms have enough storage so you don't have to live out of a suitcase. 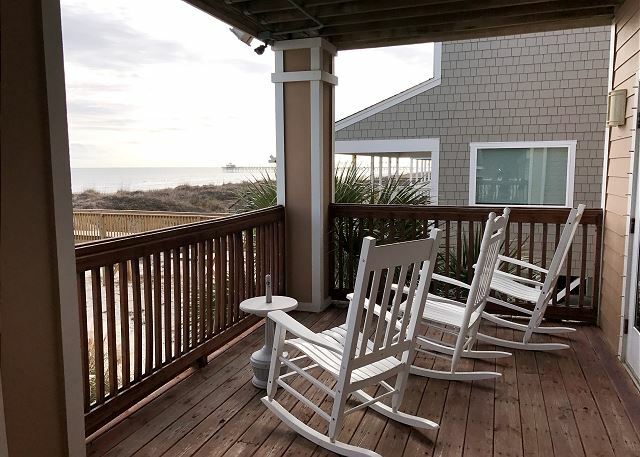 We stayed at Beachwalk Villa 904 summer 2017 and had a great experience so we thought we'd stay there again. This year's experience was no where close to the previous year. Upon Arrival, Southern Coast Vacations ensured that the Air Conditioner was working (As prior to arrival, it apparently wasn't working)and they ensured that it was fixed and running. the First night we were there 6/2 it was 80 degrees in the condo all night, and with two infants that didn't go over too well. . . on top of being miserably hot for basically 2 days, the dishwasher also didn't work, or the jets in the master tub. 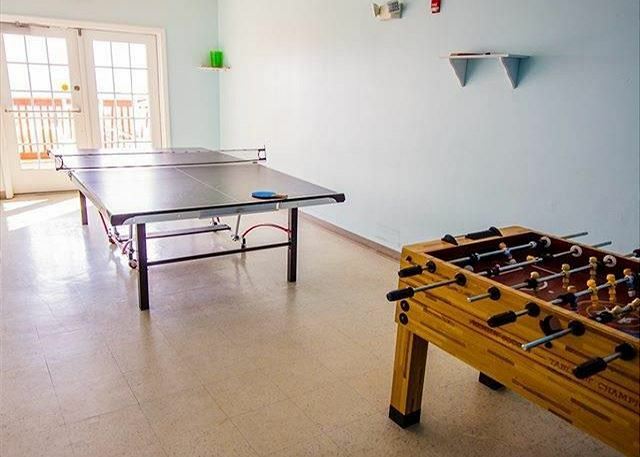 (Which were an amenity some would want to use possibly while vacationing.) The Overall condo besides all the stuff that didn't work was good. I love the location and the calmness of the surroundings. HI Stephanie, we are so sorry your expectations were not met, especially since you had a wonderful time the year before. The air compressor was replaced the day of your arrival and again during your stay. The entire air conditioner was replaced the day after your departure even though the unit was only 1 year old. We had a great stay at the Beachwalk Villa. 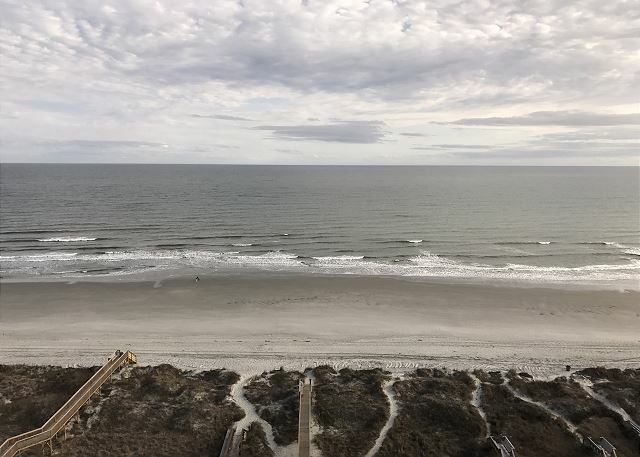 While not right on the beach the views from the balcony was breath-taking - nothing in the way of seeing ocean, beach and the pier. The walk to the beach was very short and the beach was great. The condo was clean and had everything we needed for the my wife & I and our 2 daughters and husbands. Plenty to do in the area. This area is a little quieter than Myrtle Beach which we really liked. We are already making plans to come back. It was a great condo just across the street from the beach. 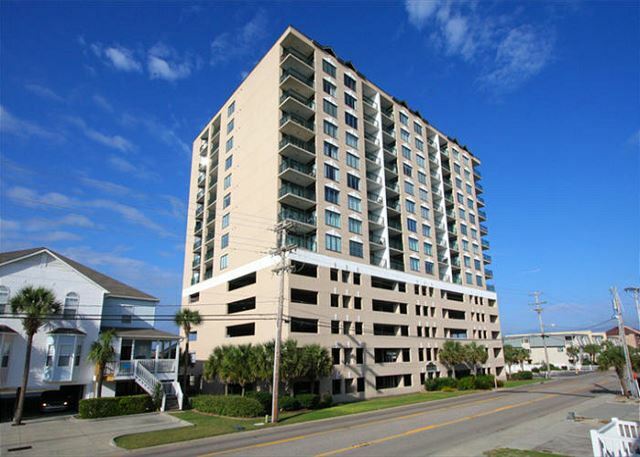 Close proximity to a nice little grocery store, the pier, & restaurants. 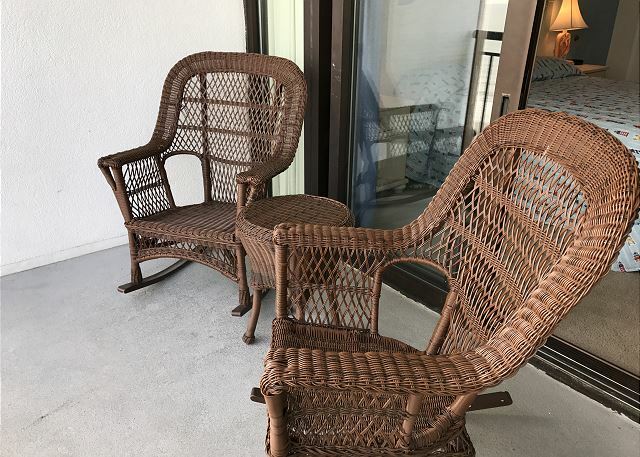 Condo had everything we needed for our week at the beach! Thank you for staying with us. We are happy you had a great time and hope that you stay with us again!